With St. Patrick’s Day basically over, we shifted gears and went right into Easter. Why, on such a beautiful spring day, that’s not a leap at all! So we made the kitchen table our craft table and painted about 2o Easter eggs. But they weren’t your regular eggs. There’s only so much you can do with a real egg when it comes to decorating. You hardboil it and then it’ll spoil when keeping it outside the fridge, so you really can’t use them to decorate (except for your table on Easter morning). Or you can puncture an uncooked egg on both ends and blow out the insides… without puncturing your lungs or breaking the egg altogether. That’s an art in itself! And then you paint them and you still have to be careful like nothing else to not break them. At least, if you get through all of that, you CAN use them to decorate. 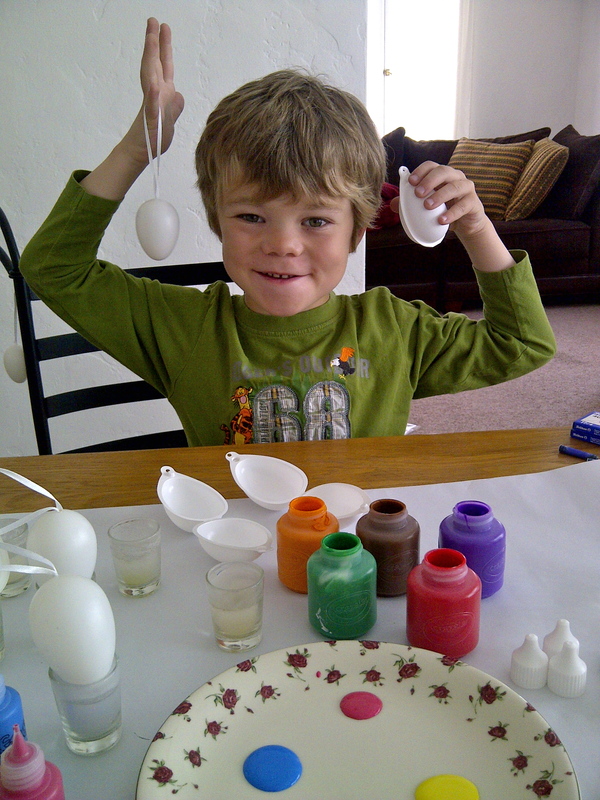 Lastly, you can, of course, buy colored plastic eggs to decorate – but where’s the fun in that? 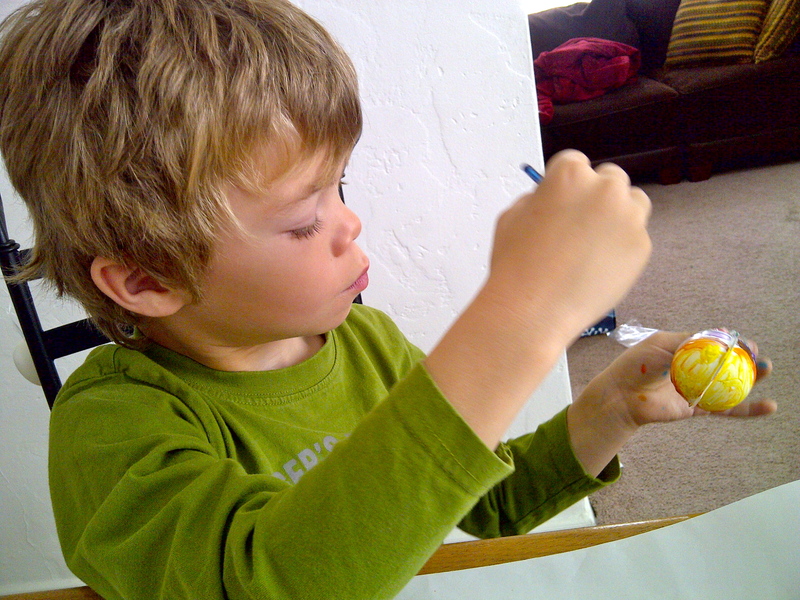 So how do you decorate with self-painted eggs and keep it at a kid-friendly level? Well, here come white paintable plastic eggs! We’re quite proud of it. 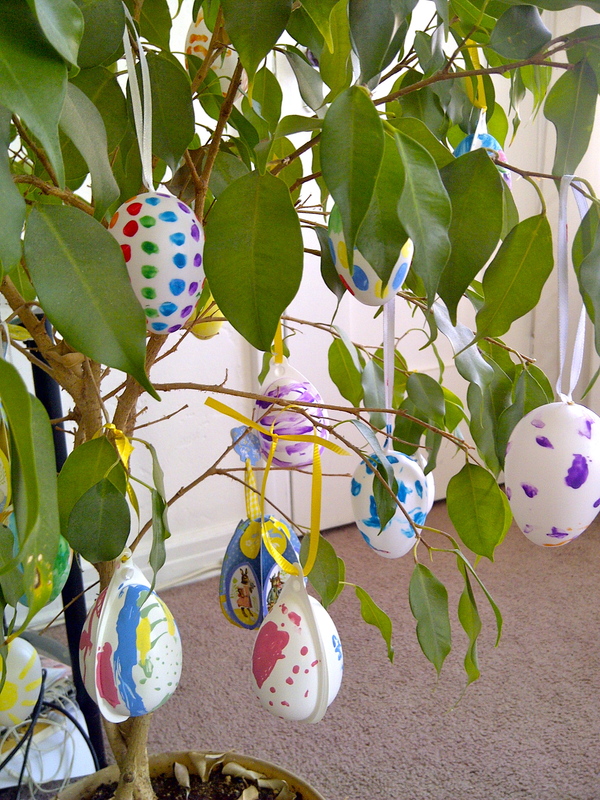 If you copy this idea, make sure to take a picture of YOUR Easter tree and send it to me! I’d love to do an inspirational follow up post! Soooo cute!! I would do this. The girls have never dyed Easter eggs. Wat a mess. And I don’t buy white eggs anyway. We only buy the brown ones from a farmer. So…I would do this! And the girls would love it! 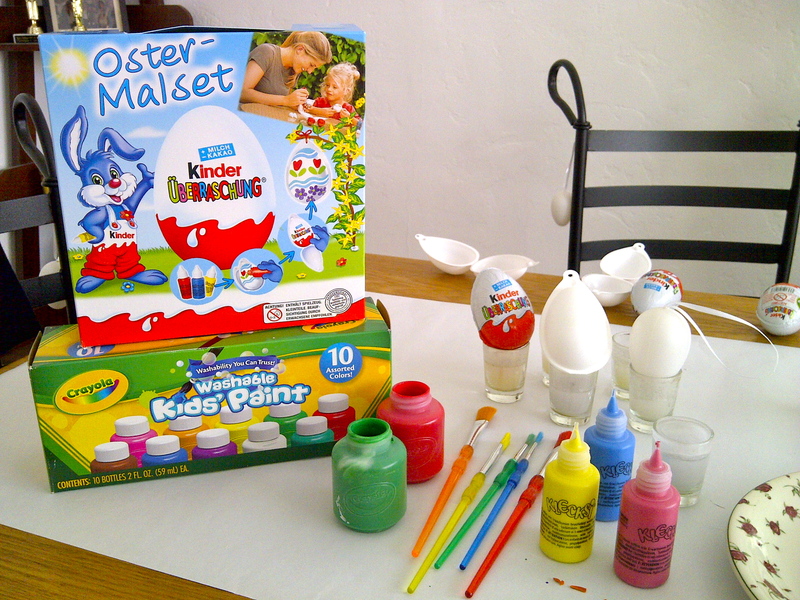 I am gonna look for these paintable eggs. 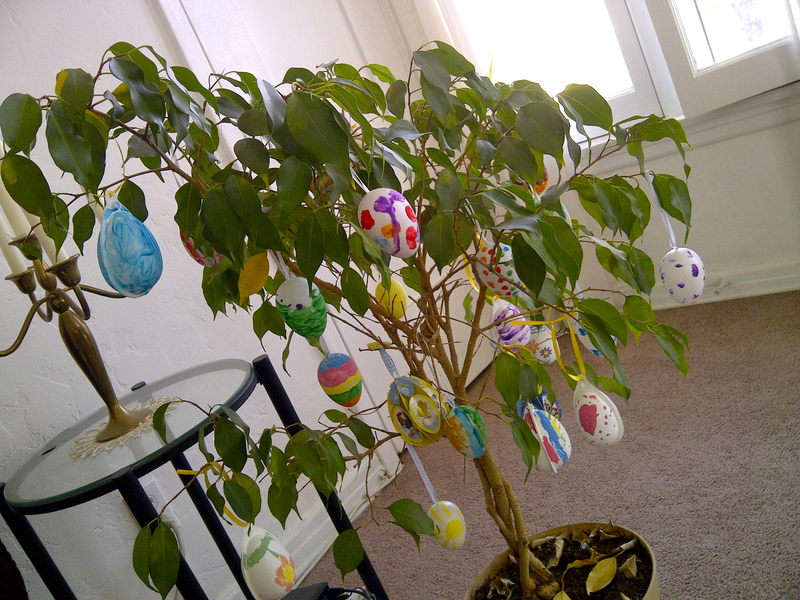 What a sweet Easter tree. My mother and sister in laws both have these in their houses at Easter time. This makes me miss Germany.